What are the tools and practices available for financing nature protection in Southeastern Europe? Conforming to European environmental requirements and joining the ecologocial network "Natura 2000" requires better management of natural resources, new approaches for public and private collaboration, and a sustainable method to finance the expansion of protected areas. Although the Croatian Government has identified a network of around 1,000 potential "Natura 2000" sites covering over 250 species and 70 regionally significant habitat types, resources are scarce. A review of best practices and alternative benefit valuation methods and revenue generating policy options could ensure an appropriate level of sustainable financing for Croatia’s protected areas in the future. To improve the financial management of biodiversity conservation in transition and accession countries in Southeastern Europe (Croatia, Bosnia and Herzegovina, and Albania), PROFOR supported a synthesis of best practices in nature protection financing mechanisms and levels in Europe, Latin America and the Caribbean, with a primary focus on Croatia. Valuation surveys were used in Croatia to estimate the willingness of visitors to pay to keep and improve these protected areas. The results, which are relevant for the entire sub-region, were presented at a regional workshop in February 2010. 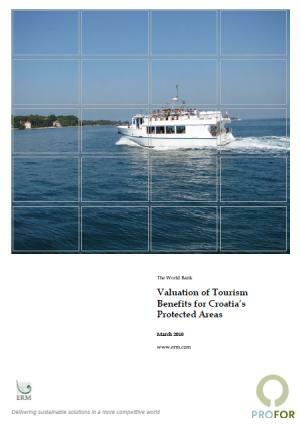 Survey results indicated both Croatians and international tourists place a very high value on protected area services and are willing to pay more for both improved services and the preservation of natural site attributes. The study used internationally recognized environmental economic techniques for eliciting use and non-use values of the parks. Non-use values are the value people place on the protection of plant, animal, geological, cultural and landscape features of the site. Use values include natural products and recreational services that the site provides. The results will help define a nature protection investment program. Croatia could benefit from a more transparent and equitable share of revenues from large concessions operating in protected areas reinvested into conservation; better financial management systems; and training and education of park management in fundraising skills. These findings are expected to help Croatia become a regional benchmark for sustainable Protected Area management and inspire similar assessments in neighboring countries seeking EU accession.